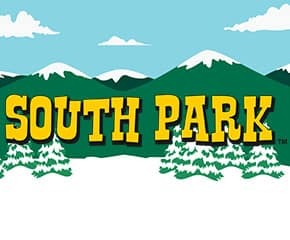 South Park is a platinum video slot game from Net Entertainment. It is based on the famous adult animated sitcom of the same name. The game has 5 reels and 25 paylines. The game features bonus rounds based on the leading characters of the sitcom. If you are lucky you may even find yourself winning upto 5000 times your bet in one of the bonus rounds. NetEnt have done amazingly well to stay true to the original sitcom in terms of the graphics. The game really looks great. The music too is similar to that of the sitcom’s and gives you the feel that you are actually playing a game based on it. This isn’t it the case when most other movies or tv shows are adapted into slots as you kinda get the feeling that the connection between the original and the game is only limited to the title. So, good job NetEnt. 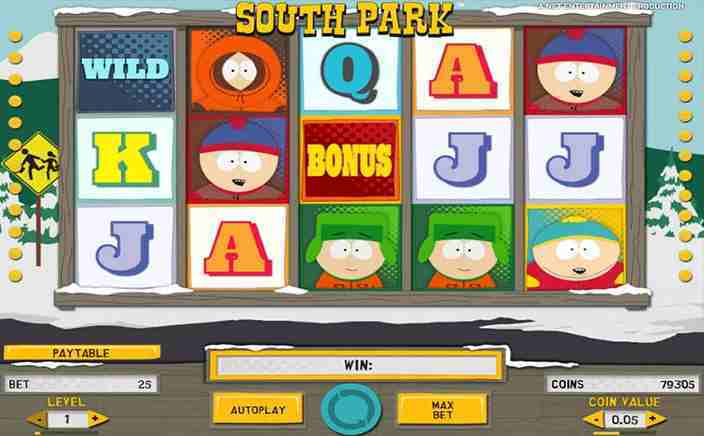 South Park is a 5 Reel and 25 payline slot game. It’s playable form 25p a spin to 25£ spin. The slot is a low to medium variance one with some frequent wins. But none of the wins are really substantial in the base rounds. It’s the bonus features that contain all the excitement and the thrill in this game. There are 4 character specific bonus features in South Park. The bonus round is triggered when you land 2 of the regular bonus symbols on the reels 3 and 4 with a bonus character symbol on reel 5. Each particular character symbol will trigger a bonus round specific to them. There are four such bonus features one each for the 4 boys. They are the Stan Bonus Spins feature, Kyle bonus spins feature, Kenny bonus feature and the Cartman bonus feature. Then of course there are the mini-features which are based on wilds get triggered randomly during the course of the base game. There are 2 such features. They are the Terrance and Phillip mini feature and the Mr Hankey mini feature. starting with the Terrance and Phillip Mini feature. Performance of South Park is as smooth as butter. The game has no visible lags or bugs and works perfectly fine on touch screens. South Park is one of those rare TV series to slot game adaptations that work. This is mostly due to the genius of NetEnt. Because those guys know how to make a damn good slot. They have been setting benchmarks on slot game developing for quite some time now and have yet again delivered with this game. So, just get online and start spinning right away.